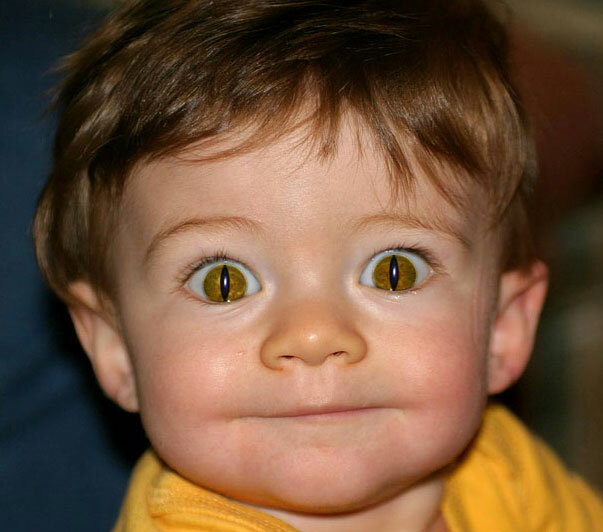 This tutorial will show you how to change those regular human eyes to a realistic looking cat eye. 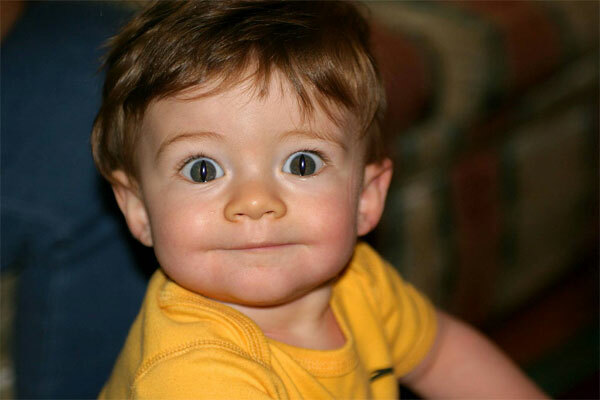 Lets take this sweet picture of this toddler. Lets then use the eliptical marquee tool and select the pupil of the subject. Once selected choose edit and then copy and then edit and then paste. This will create a new layer of the pupil. 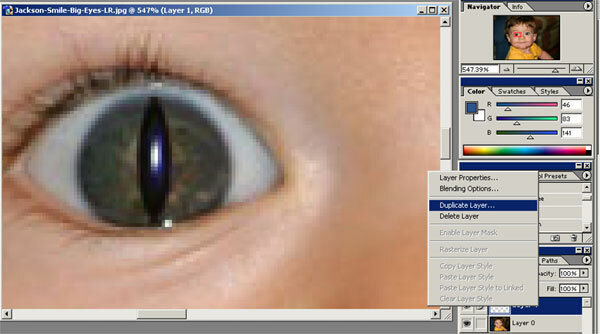 With the new pupil layer you will need to choose Edit/Free transform and make your image similar to the below. 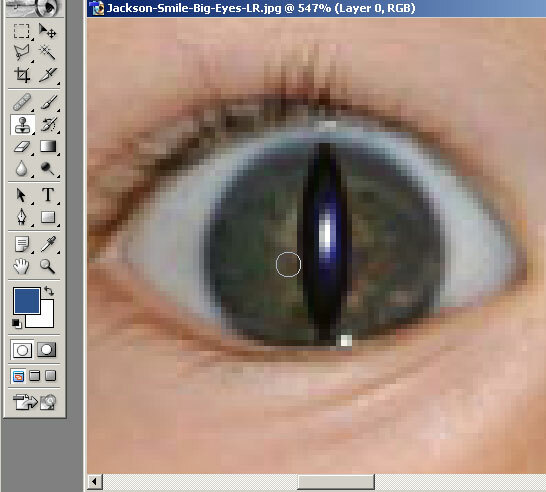 Do the same for the second eye and then use the clone stamp tool on the original layer to get rid of the excess of the original pupil so it blends in with the rest of the iris. 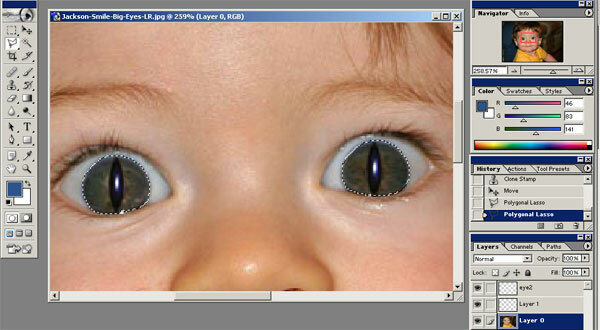 Like it was mentioned in the step above make sure to duplicate your layer for both eyes. Your image should look something like this so far. 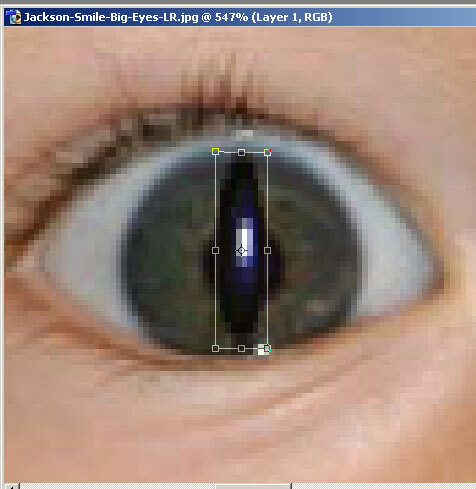 Now you will need to use the polygon lasso tool and select the the entire eye on the first layer. 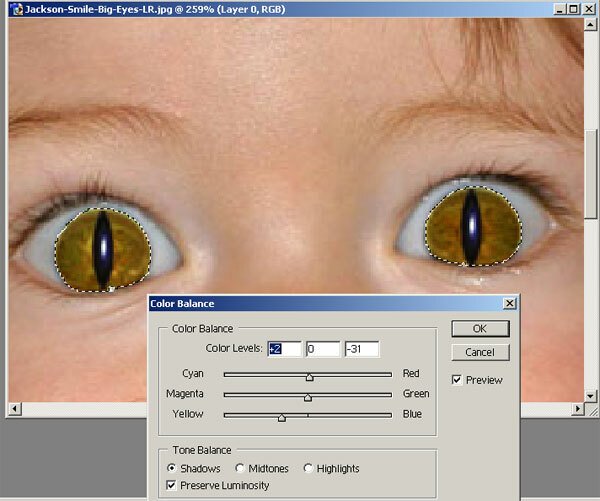 Make sure to select both eyes. Do so by using the polygon lasso tool and hold down the shift key to select more than one closed object. Once selected you will need to choose Image/Adjustments/Color Balance. Make sure to choose the values below or make up your own. No big deal. Your image should look something like the below. If you are feeling up to it you can use the free transform tool and make your little guys's ears look like an elf as well. Enjoy!